Do you know an independent tire dealer in the retail, commercial or wholesale business that is doing amazing things for the community, has reached a major milestone or simply has a great story about his or her business? Tire Review wants to share their stories! 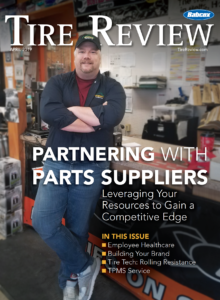 Nominate a tire dealer below to be featured in Tire Review magazine. Step 1. Who are you nominating? Tell us (500 words or less) about the dealer you are nominating. This could be an interesting fact about the business; community involvement; legacy in the tire industry; a crazy story that is now legend; or the entrepreneurial spirit that helped make this business great.